Stevens Point Therapist: Kiersten Carley - Therapist 54482. Send A Message To Kiersten. 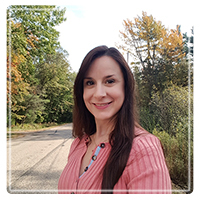 Kiersten’s approach to counseling is compassionate, strength-based, and includes a diverse set of treatment methods with regards to the whole person. She is interested in working with a variety of populations while her experience includes adult women and men, children, and adolescents. The therapeutic process supports emotional well-being drawn from mindfulness and promotes self-discovery, life-balance, and positive change. Her diversified background offers her a unique ability to show empathy and understanding where creative strengths are needed or required. She has a passion for the arts, which continues in her personal life through a wide variety of talents. As a former foster parent, she provides additional expertise in helping foster families. She is also a member of the American Counseling Association. Kiersten includes Accelerated Resolution Therapy (ARTherapy) in addition to therapeutic counseling when needed. ARTherapy uses relaxing eye-movements to help clients with post-traumatic stress, depression, anxiety, and other mental health issues efficiently. This bi-lateral stimulation treatment, similar to EMDR, is evidence-based and supported by the National Registry of Evidence Based Programs and Practices (NREPP) and the Substance Abuse and Mental Health Services Administration (SAMHSA).